Today’s Podcast Topic: Lead Magnets! The type of lead magnets that are easy to consume and high conversion rate (opt-in rate). How to deliver your lead magnet so it always gets through. HINT: www.LeadPagesPro.com has a one-off where the first email usually goes through without ANY problems. Techniques that you can use right now on your blog to build a list. I need help with affiliate marketing. Do you have training or one-on-one? I found you on Linked IN through a affiliate video. What is the price of the affiliate course? 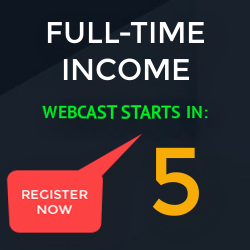 When does your Unstoppable Affiliate training program launch?